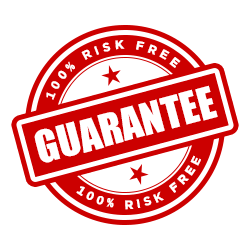 Choosing Wholesale Direct means you’re covered by our industry leading 7 point guarantee. Our efficient processing and dispatching procedures will ensure that your order is dispatched from our warehouse within 24 hours of order booking. Should you receive any damaged items, we will replace them free of charge and bundle them into your next order for free delivery. Should you receive your good and decide that they are not suitable for you or perhaps you ordered the wrong product, simply send it back and we will refund you the entire product order amount. All our orders and products are checked for confirmation and quality prior to shipping. This ensures that everything processed to the highest level of standard. All our orders are evaluated for same day shipping and delivery. If your order falls within the times supporting immediate dispatch, we will process accordingly for maximum delivery speed. We pay your extra fright charges so you only pay $9.99 for unlimited products being ordered. This makes deliver very affordable for any size order, the more you buy the more you save. We will strive to ensure our attentiveness and your experience with us is the best it can be, pleasant, professional and fast.